Now, a new cool perfume is coming in the market. Alessandro Michele, creative director of Gucci, will introduce his first perfume for the brand this week. As compared to previous Gucci perfumes like Flora, Guilty and Bamboo; Gluci Bloom will be completely different in both artistic and smell. Gucci bloom is created by Alberto Morillas and Michele while it contains natural fragrance of tuberose, sambac jasmine, Rangoon creeper (or Chinese honeysuckle) and orris which makes it a unique flora scent. President of Coty Luxury, Edgar Huber, told that they are expecting this perfume to be very fascination and amazing while the brain of Alessandro Michele was behind this fragrance. Bloom is unique and suited for usual wear. Lacquered porcelain is used to prepare the square shaped pink bottle of the perfume which has black and white label. According to traditional Gucci style, the bottle has prints of red and white pattern. 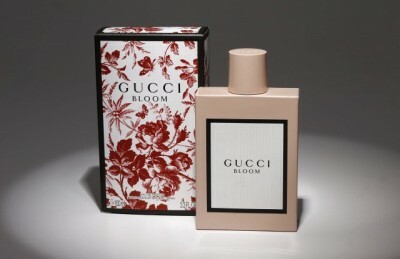 In August, Gucci Bloom will be available to be purchased from Saks Fifth Avenue and Gucci boutiques. $70, $92 and $125 will be the price of smallest bottle (30 ml), middle sized bottle (50 ml) and large bottle (100 ml) respectively. You can also have a limited pre-sale of the expectedly nice fragrance this week through e-commerce sites of Gucci and Saks. There are 1,000 bottles available to each seller but the starting time of sale is not known. The campaign for the Gucci Bloom will be run by famous actress Dakota Johnson along with Petra Collins and transgender actress Hari Nef.